Pictured 39 year old Turkish man and father of two, Halil Dag moments before falling to his death after posing for a 'birthday photo'. Pictured 39 year old Turkish man and father of eight, Halil Dag moments before falling to his death after posing for a ‘birthday photo’. 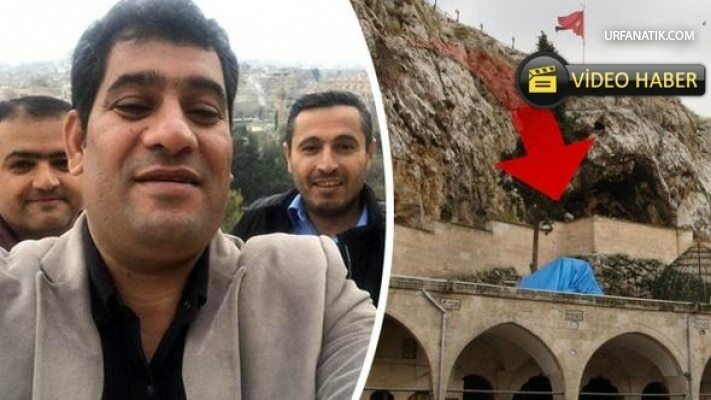 Halil Dag falls to his death while posing for a birthday selfie photo after losing his balance along a treacherous area at a historic tourist site. 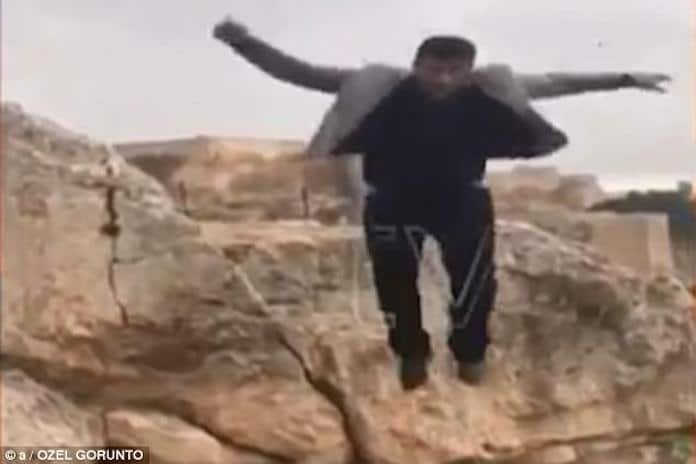 Video footage has recorded the moment Turkish man, Halil Dag leaping to his death after losing his balance and falling 150ft below while posing on a cliff for his birthday. 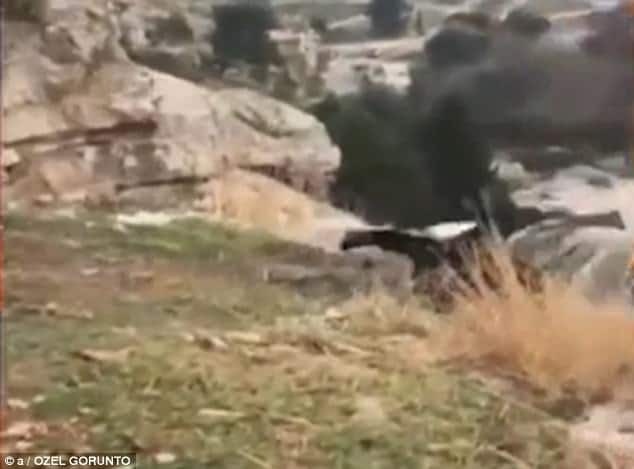 Standing off a rock at the historic Urfa Castle in southern Turkey, the man jumps forward for the cameras only to lose his balance on the sloping grassy surface and tumbling off a cliff edge. 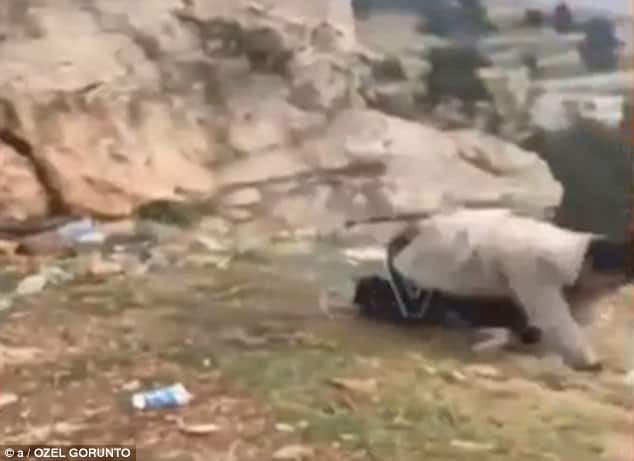 Despite scrambling to grab hold of something to stop his fall, the 39-year-old father-of-eight plunged 150ft, landing near a Kurdish restaurant at the bottom. Local media reported the man being taken to a nearby hospital in a critical condition but was later declared dead. Video showed Halil leaping down over a barbed wire fence to pose for a picture at the historic site. The clip captures him desperately trying to stay on his feet as he stumbled sideways. To the horror of his friends, Halil, who was celebrating his birthday, then rolls off the cliff edge. Friends rushed over to help but it was too late. His devastated family later interred his body at the Abdurrahman Dede Cemetery. To date it wasn’t immediately clear what response local authorities may have had to the ‘incident’ and whether the tragedy may have been preempted had there been surrounding fencing or signs warning ‘gun-ho’ tourists of the rocky terrain…. Pictured, Halil Dag scrambling to clutch onto something as he lands on the sloping surface. Halil Dag: too little, too late as he falls 150 feet to his death below, landing near a Kurdish restaurant. Halil Dag, birthday selfie that went terribly wrong…. Pictured, Turkish father of eight who fell to his death while posing for a selfie photo at the Urfa Castle.